When you hear the term orthodontics, the first things that come up in mind are braces and colorful elastics. But there are plenty of other appliances associated with this unique field of dentistry. One of the commonly used appliances in orthodontics is the headgears. Sounds fancy right? Orthodontic headgear is specially designed to treat complex malocclusions and alignment of jaws among the young population. An orthodontic headgear comes in different types depending on the type of malocclusion to be corrected. Although the headgear may have an intricate design, it is straightforward to understand. This article will clear your concepts about orthodontic headgears and give you a detailed review of these headgears function in day to day life of an orthodontic patient. What is an orthodontic headgear? 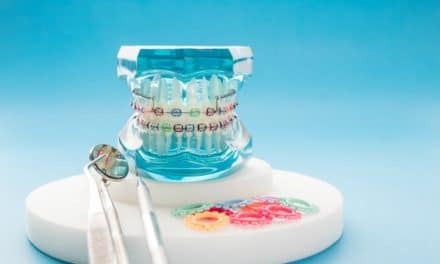 Orthodontic headgear is an orthopedic appliance which is used to monitor and control the growth of facial structures especially in children between the age of 7-11 years. Also, it corrects any skeletal malocclusions that may be present. 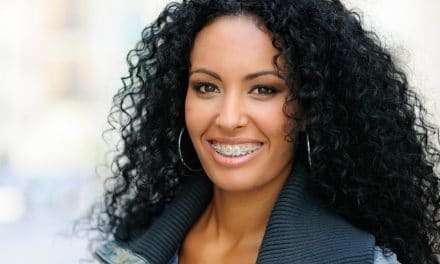 An orthodontic appliance constitutes an extra-oral component that takes support from the chin and the neck and an intra-oral element that consists of braces and a face bow. All the components when connected apply force on the upper and the lower jaw to align them in the desired position and correct an overbite or an underbite. The time taken to complete the treatment is slightly longer than the procedure done by traditional braces, but the results are fruitful. What is the purpose of an orthodontic headgear? Orthodontic headgears are used to correct severe skeletal and dental malocclusions in growing children. They are used to adjust the cases of underbite or overbite in an orthodontic patient. Although headgears are also used in adults, their use is limited because of the change in skeletal growth pattern with age. The ideal amount of force that is applied by an orthodontic headgear rounds up to 350 – 450 grams per side. The force used to create a movement is always intermittent. The average range of time that the patient should wear the appliance is 6-12 hours per day. So a child as a patient can wear the device at home and while sleeping and skip wearing it during school. The duration of the treatment depends on the severity of the case and the rate of movement. What are the components of an orthodontic headgear? This component constitutes the head cap or facemask. The head cap is made up of wide straps that take support from the head or the back of the neck and are connected to the intraoral component in the front. It stabilizes the appliance in position and provides support to the intraoral device which efficiently helps the patient to wear the appliance during the night. Head caps are comfortable to wear and are not visually apparent. They are mainly used to push back the upper jaw and teeth. A face mask, on the other hand, takes support from the forehead and the chin and it is used to move the upper jaw forward. Face-bow the part that goes inside the oral cavity of the patient and attaches to the braces. It consists of an outer bow which comes in different lengths and an inner bow which connects to the braces. Another use of a face bow is to correct the dental malocclusion. Because of its design, a face bow is also referred to as the J – hook. The primary purpose of elastics or springs is to attach the outer bow of the face bow to the head cap. What types of orthodontic headgear are available? 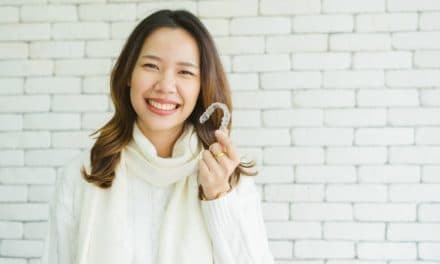 There are three distinctive types of orthodontic headgear that are categorized based on the kind of movement they help with. Occipital Pull Headgear which functions similar to the cervical pull headgear but applies extra force to tip the upper molars back. Reverse Pull Headgear which consists of a facemask and is used to correct them, i.e., to pull the upper jaw forward and resist the growth of the lower jaw. What instructions should you follow? Take care to remove the headgear while eating or doing any activity that might displace the appliance from its original position. Do not miss your dental appointments with the orthodontist. Maintain good oral hygiene to eliminate any oral complications that may prolong the duration of the treatment. Always wear the headgear for the required amount of time every day to maintain the efficiency. The differential growth of a patient is very unpredictable. The treatment depends on the requirements of the patients and the results to be achieved. Compliance is the key to success, especially during orthodontic treatment. A little care towards your oral hygiene will increase the efficiency of the hard work and bring beautiful results. Although braces are the norms of orthodontic treatment, headgears may increase the efficiency and help to expedite the process. Orthodontic headgears though common among the growing children can also be used in adults with a missing tooth and help them to fill the missing space in a short period. Like any other dental treatment, it is crucial to follow the instructions given by the dentist and be regular to all the follow-up appointments. PreviousHow to Stay Away from Pit and Fissure Cavity? NextAnxiety and Dry Mouth – How Can Stress Lead to Dry Mouth?